Sakai Woodwork is a factory that stands out in Okawa furniture production area for its craftsmen technology. 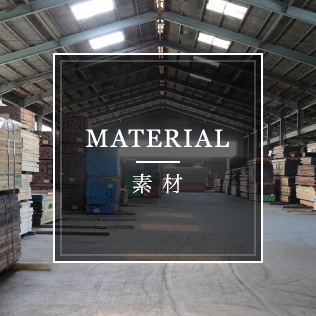 An enterprise established 100 years ago, in 1907 that handles imported furniture while continuing with the traditional technology. 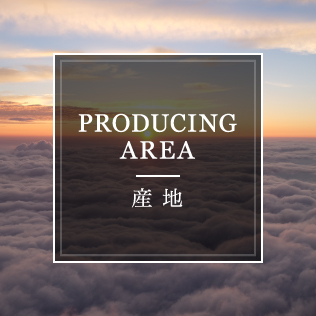 When planning for new products, the craftsmen will make arrangements with the designer Kakiuchi many times as necessary, in order to deliver a thorough product. 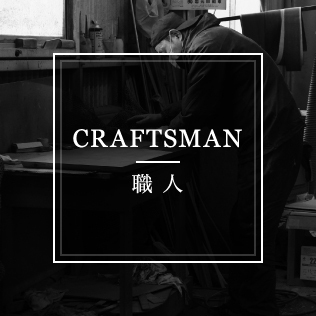 Since Mr. Kakiuchi can handle from the woodwork place to design, he is a trustworthy technician among craftsmen. "If you have a problem go and consult Kakiuchi-san first". 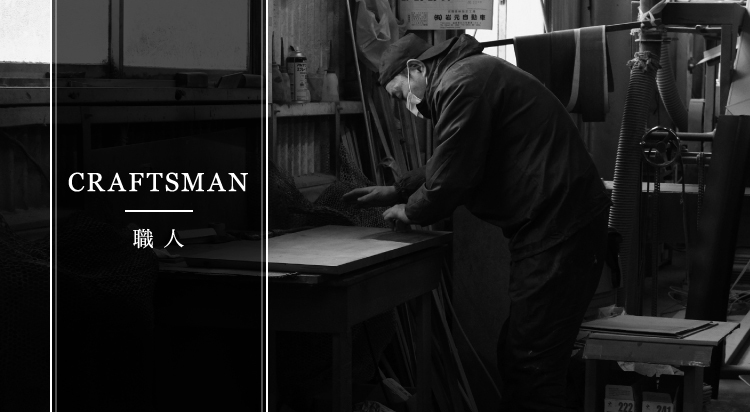 Ryu-san has a 50 years carrier as a painter craftsman. 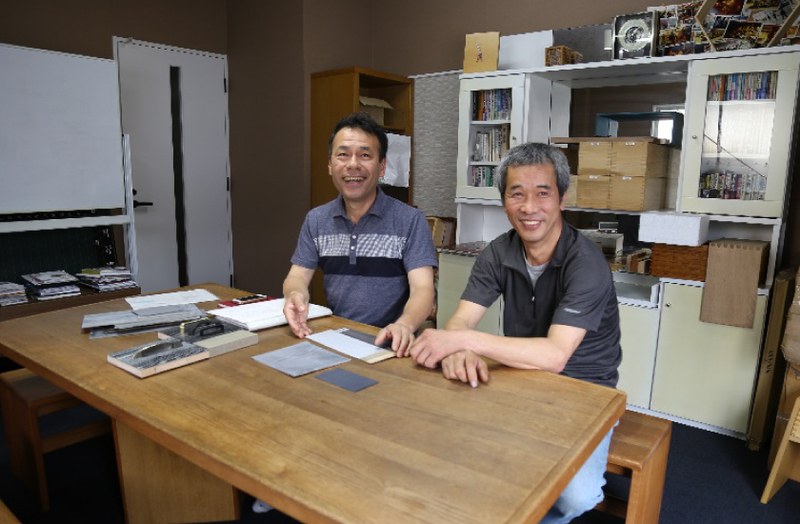 He entered in the furniture business to assembly doors, gained experience and got interested in flower-shaped painting. 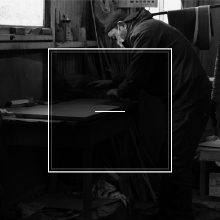 In the craftsmen’s world the skill and technology speak through the product so he repeatedly pursued his skills through his work. 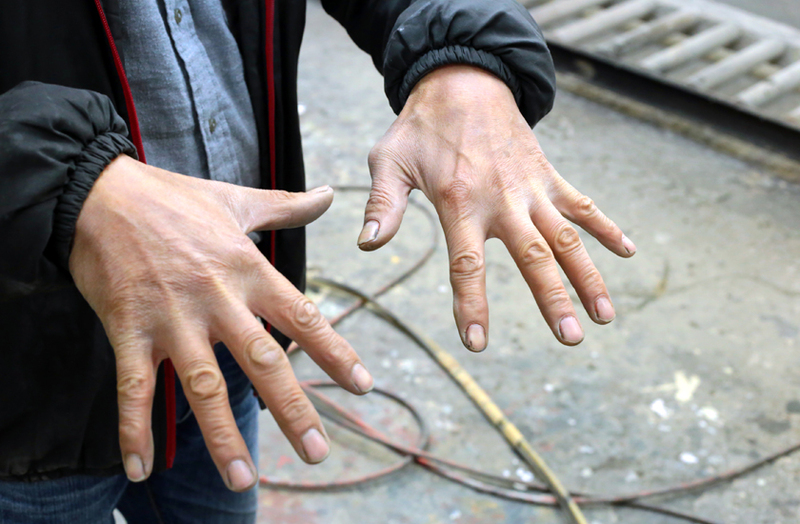 When he didn’t have paint, he will put water in a spray-gun and will practice on a cardboard. When he got skillful he was entrusted with painting and his skills got recognized at Okawa Paint competition where he won 1st to 3rd place. It seems that there was no longer a partner in the furniture industry to compete with, so he competed with the painting industry. 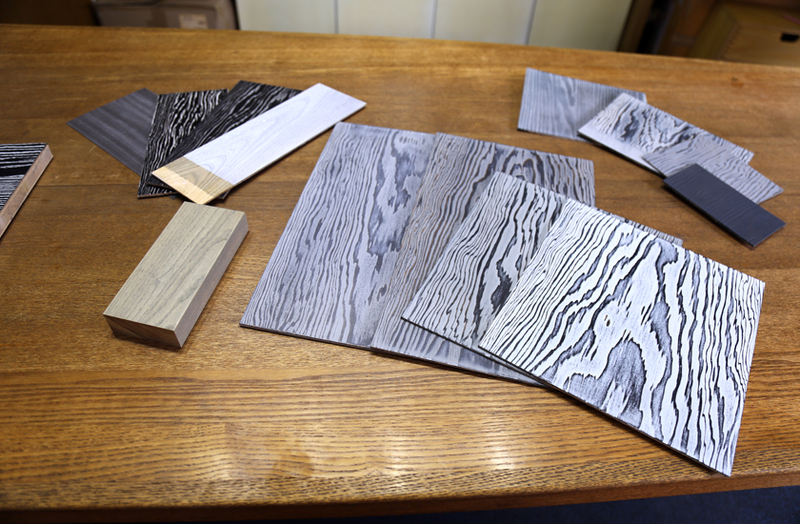 The technology was passed on professionals and now the painting department has an important role at Sakai Woodwork. 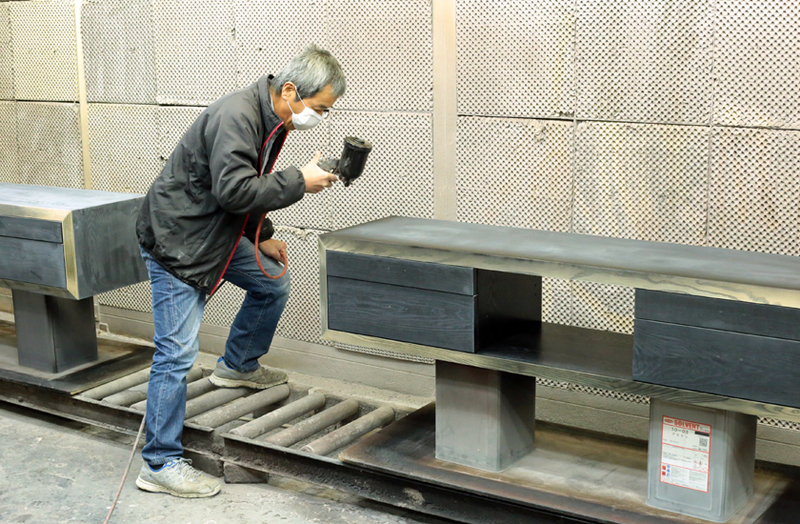 Ryu-san , including to his work policy , taught us that the most important step in painting (coating )process is the polishing process. You have to paint until just before the paint drips. (It is easy to say it in words but hard to get the grip of it) He did various colors but the most difficult one to come up with, even when using high technology, is the gray color. It is because that the temperature and the humidity for that day will affect its shade, color, and gloss. He often hears the question “How many times this was painted? and the only answer is Ryu –san's smile. 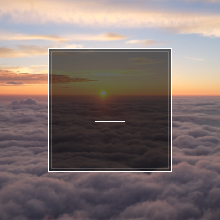 "You cannot know; might change even with one layer of paint. Even the hand movement might change the outcome". Then how do you paint it? The answer is “almost intuition, feeling” Even though now he is training his successors, it is very hard to steal his skills and technology. We have tried and painted various colors for the productunder construction now. He will come up with various colors. It is the most important step in polishing, so we are proceeding with care while checking many times. The painting itself is a serious process and even a small disturbance may affect the working process. 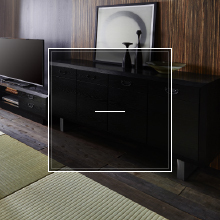 Copyright (C) SEKI FURNITURE Co.,Ltd. All rights reserved.